Preheat oven to 450°F. Lightly coat baking sheet with non-stick cooking spray. 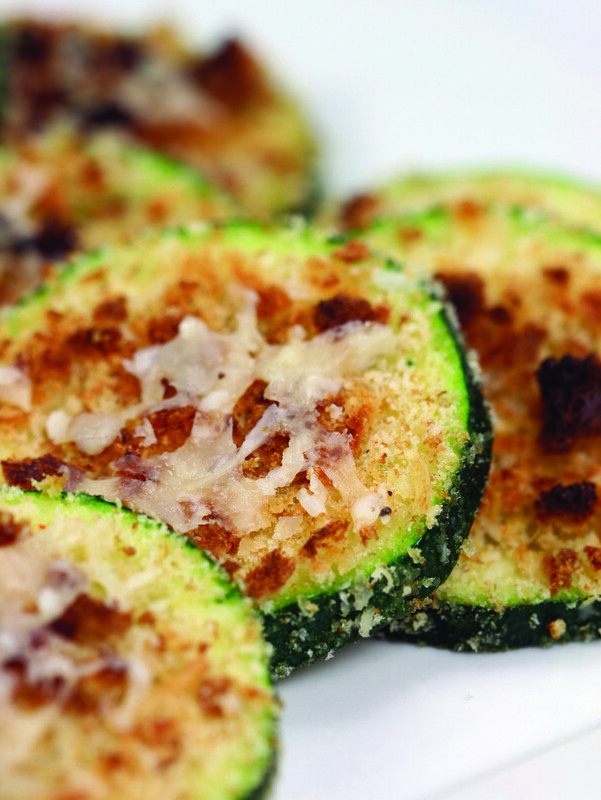 Slice zucchini into 1/4-inch thick rounds, leaving green skin on. Place rounds in resealable plastic bag with olive oil; shake to coat all sides. 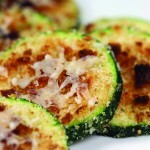 Combine Parmesan cheese, bread crumbs, salt, pepper and paprika in small bowl. 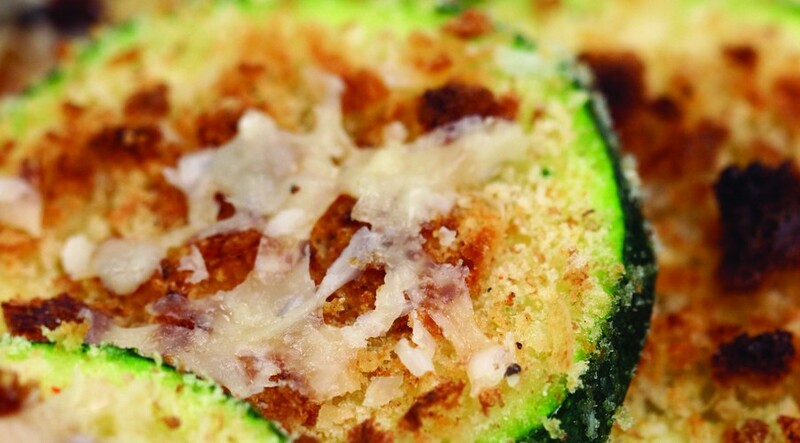 Press each zucchini round into Parmesan mixture, coating on both sides. Place in single layer on prepared baking sheet. Bake until browned and crisp, about 10 minutes. Remove with spatula. Serve warm. 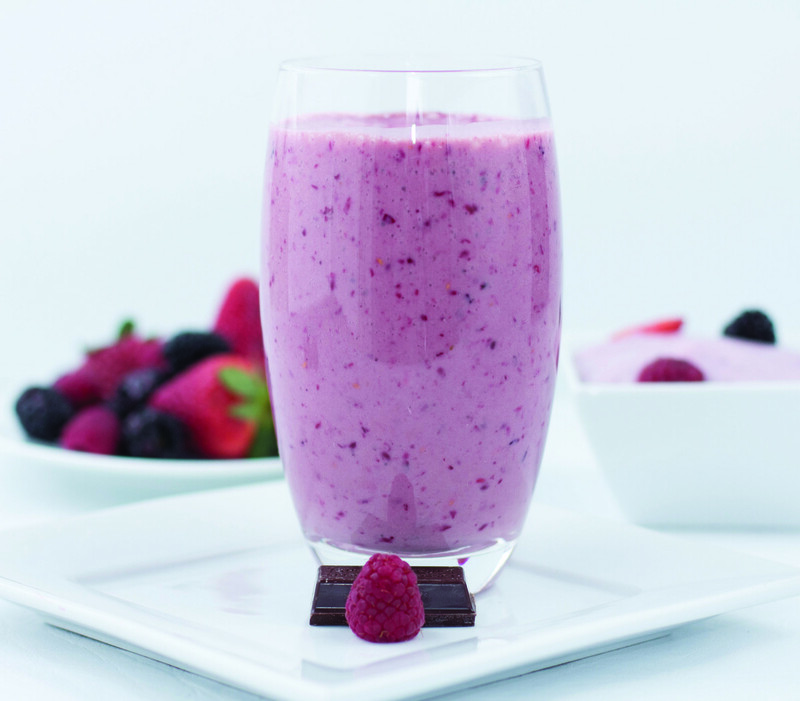 Combine chocolate milk, frozen berries and yogurt in a blender. Blend until creamy. Serve immediately. During the laid-back summer months, it can be tempting to let things slide. Though many aspects of your routine may shift into a lower gear, you can still find simple ways to make sure your kids are making healthy food choices to fuel their way through summer. This season, celebrate why dairy is a wholesome addition to snacks, meal choices and even drinks. Not only do dairy foods taste great, but they are good for your health and your budget. Options like milk, cheese and yogurt are full of vitamins and minerals, help build strong bones and muscles, control blood pressure, maintain a healthy weight, and reduce the risk of heart disease. Plus, at about 25 cents per 8-ounce serving, milk is a bargain, especially when you consider all the nutrients inside. No other food group delivers this much nutrition in such an affordable, flavorful and convenient way. Take advantage of the extra time summer allows to teach kids about where food comes from, and the practices involved in getting food from the farm to your family’s table. With a focus on educating others about sustainable practices, dairy families across the nation regularly invite the public to visit their farms and learn how milk and other dairy foods make it from their family farms to grocery store shelves. Dairy farmers work 365 days a year to ensure nutritious milk and dairy foods are available now and in the future. Keep kids well-nourished throughout the day—even when school isn’t in session. Teach kids simple, nutritious breakfast and snack ideas they can create on their own in the kitchen, such as yogurt and fruit smoothies. Not only will they learn a few kitchen skills, it will encourage the habit of eating a wholesome breakfast every day. 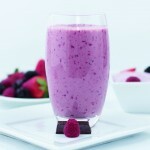 For more dairy recipes, nutrition information and stories from the farm, visit DairyMakesSense.com.